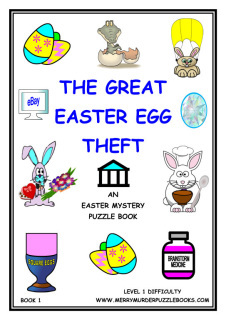 FREE PDF - THE GREAT EASTER EGG THEFT! To help make Easter a little more exciting, I am letting all visitors to the merrymurder website download a free copy of my "The Great Easter Egg Theft" puzzle book. 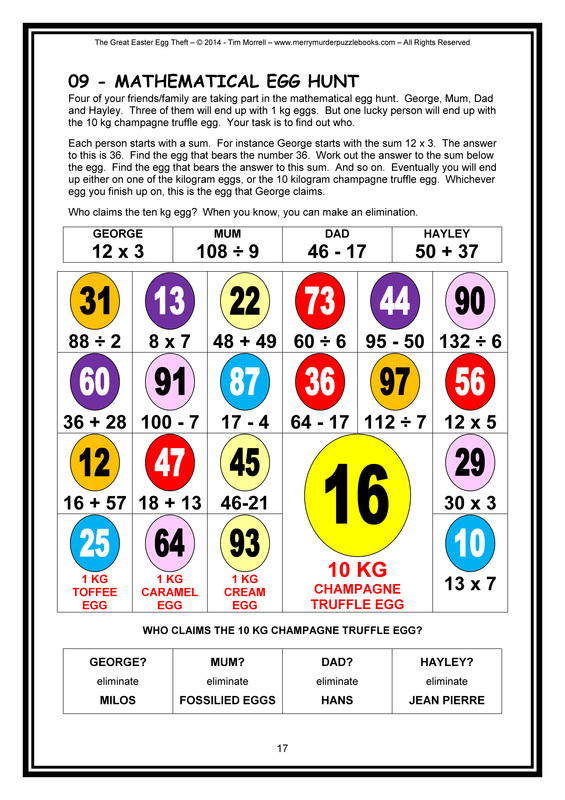 By solving the puzzles, readers have to work out which Easter bunny is the thief, what type of eggs they stole, and what they did with them. Full details of the book's contents can be found by clicking the button. To obtain the FULL DOWNLOAD for FREE, simply put through an order for the book using the button below. Note - Some people have reported problems with the download link. if you need the PDF emailing to you, please drop me a line.